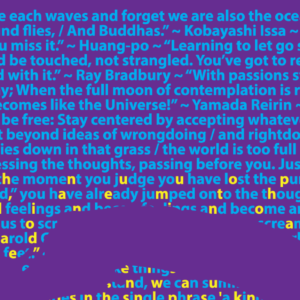 Think Positive Apparel’s state of California design made entirely out of quotations from Californian leaders, artists, scientists, and philosophers. 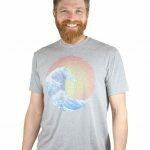 The Think Positive Apparel “California” design is made entirely out of quotations from Californian artists, leaders, scientists, and philosophers! 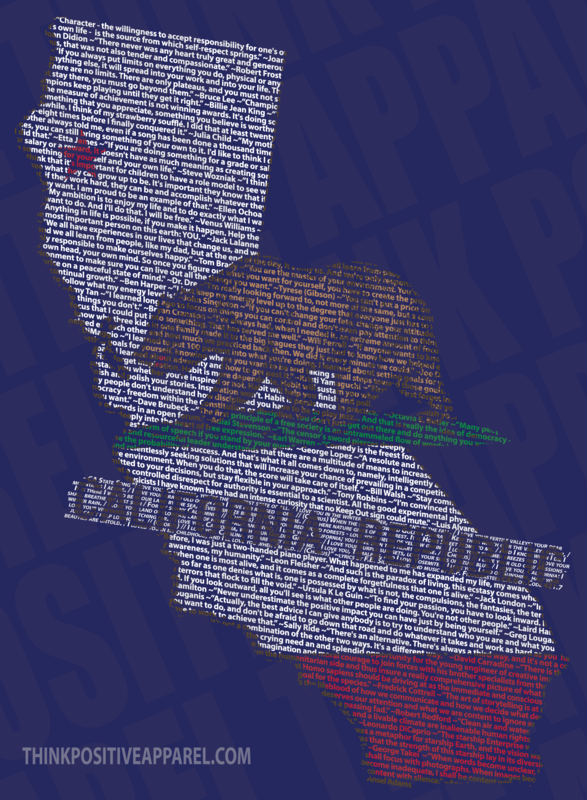 In the words “California Republic” you will find the state song, “I love you California“! The state code dictates many of the features of the flag including the specific colors and location of the various elements. We hope you enjoy our interpretation of it! 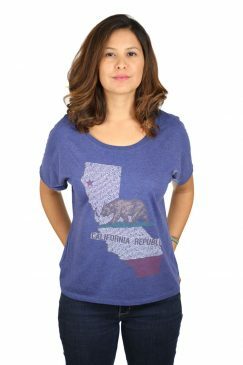 We arbitrarily drew the line for being a Californian at “having been born in the state”. Of course people can be born anywhere and still consider themselves Californians! Furthermore we should point out that while these people may be on a design about the state of California, we make no assertions that any of these fine individuals actually endorse the state of California or even consider themselves California. None of these quotations are even about California specifically. But their quotes are theirs; gathered from books, articles, and interviews… and the feel of them all (hopefully) takes the reader on a positive journey of the mind that would, metaphorically be equivalent to the various wonders of this great state. 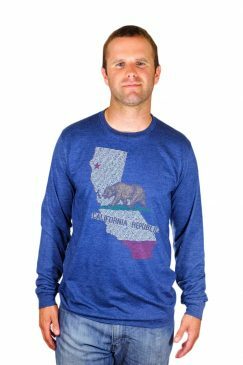 Think Positive Apparel’s California design made of tiny quotations from Californians and screen printed on a ladies soft fleece scoop neck long sleeve sweatshirt. 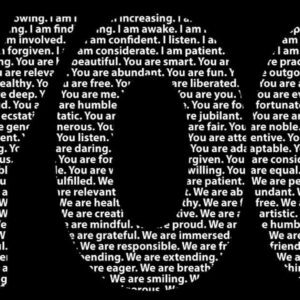 Our California design is made entirely of quotations from various Californian artists, scientists, leaders, and philosophers! 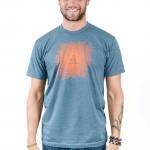 Here is is on a ladies triblend crew neck t-shirt. Let us know what your favorite quotation from a Californian is or what you think of any of these by leaving a comment bellow!